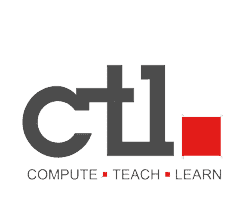 If you require technical support for a CTL or 2go product, you may contact our technical support department via telephone at 800.645.8670, email at support@ctl.net, llive chat or by opening a ticket directly online at https://support.ctl.net. Our customers are important to us and we strive to respond to all tickets as fast as possible, however, because they are the most efficient, you will receive the fastest response by creating a ticket directly online. However you create a ticket, you may choose to have CTL communicate with you about your ticket via telephone or via email. If you want us to communicate to you about your ticket via telephone, you’ll need to provide a valid telephone number and area code. Whenever calling us back about a previously opened ticket, please reference your ticket number. The fastest and most efficient method of getting support from CTL/2go is by opening a ticket online and conducting ticket communication via email. When you create a ticket online or by sending an email to our support department, our system will send you an email notifying you that your ticket has been created and containing your ticket information. For tickets submitted in this manner, subsequent questions and instructions from our support technicians will be via email. You can simply reply to those emails and your response will automatically be recorded to your ticket and distributed to the correct technician. Handling your tickets by email in this manner will ensure that you have documentation of all communication with CTL and will allow us to respond to your ticket requests faster than by telephone. To ensure that our emails get through to you, you will need to be sure that you provide us with the correct email address. You will also need to ensure that emails from support@ctl.helpserve.com or any emails from ctlcorp.com and ctl.net are not marked as spam by your email provider or email program. Please check with your email provider or email program’s documentation for information on how to keep specific emails from specific senders from being marked as spam. As an alternative to communicating about your ticket via email, you may also log into our helpdesk site at https://support.ctl.net to manage your ticket online. If you create a user account and login and submit a ticket, you may re-login to that account at any time to view, manage and respond to all tickets created under that account. If you create a ticket without creating and/or logging into a user account, the emails from our system to you about that ticket will contain a username and password that will allow you to login to our helpdesk site to manage your ticket online.